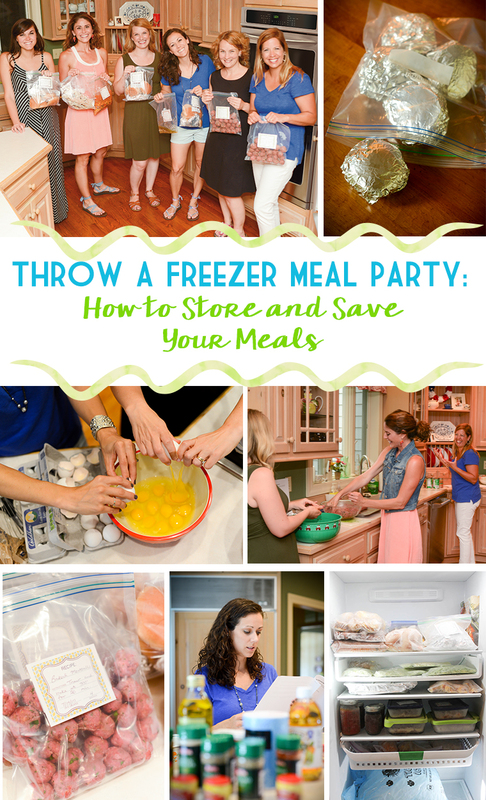 Whether you throw a Freezer Meal Party or not, we think that today’s post will be super helpful for anyone wanting to stock their freezer with homemade food. 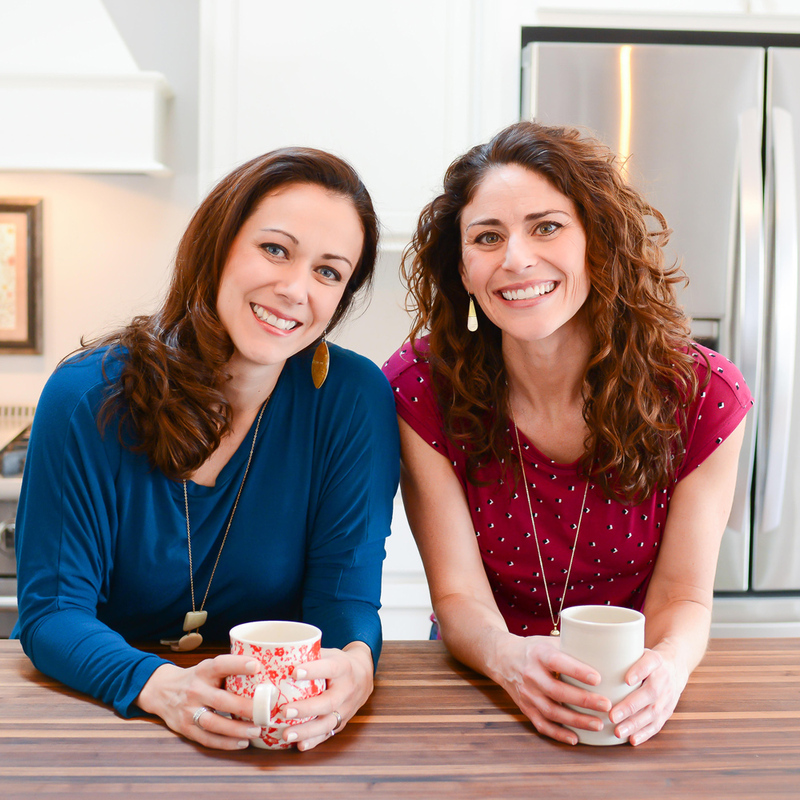 As self-proclaimed “freezer cooking evangelists” (ha, ha! ), we feel called to share the know-how we’ve acquired over our 12+ combined years of freezer cooking experience. 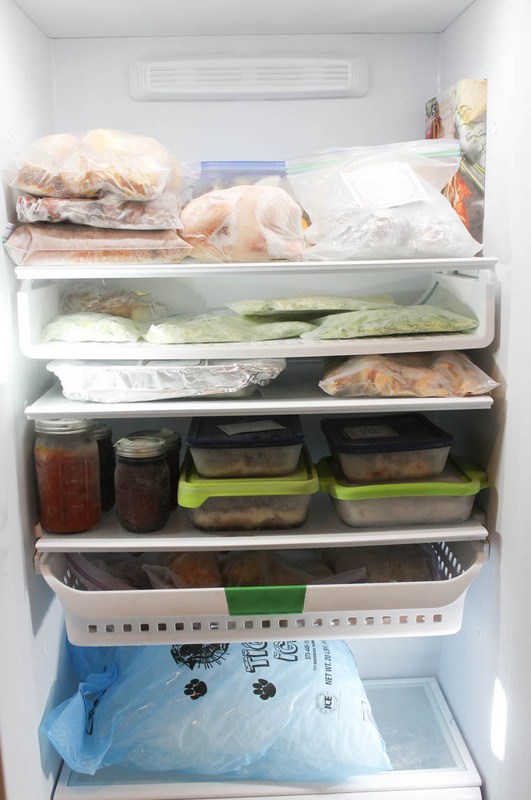 So, today we’re answering some of the most frequent questions we get about how to store and thaw your freezer meals, which are perhaps the two most integral steps to your freezer cooking success. Where Should I Put All of My Freezer Meals? Keep in mind that if you’d like to start making freezer cooking a lifestyle, a good stand-up freezer, like the Frigidaire Gallery 2-in-1 Freezer/Refrigerator that Rachel and I both own, is necessary for providing the extra space you’ll need. 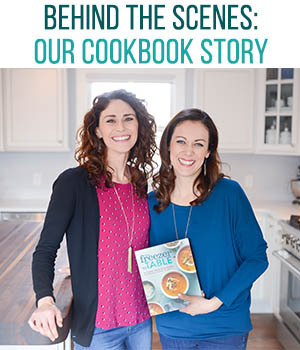 Having an extra freezer has saved both of us so much time and money, as well as, made feeding our families healthy meals on a regular basis possible over the years. The great thing about the Frigidaire Gallery freezer is that, unlike many deep freezers, this one has easy-to-see-and-reach, adjustable shelves and baskets. 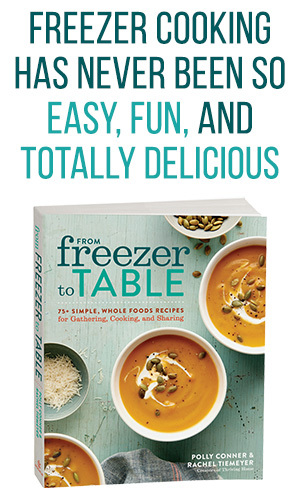 No more digging through piles of frozen food to get to the bottom or back of a freezer. 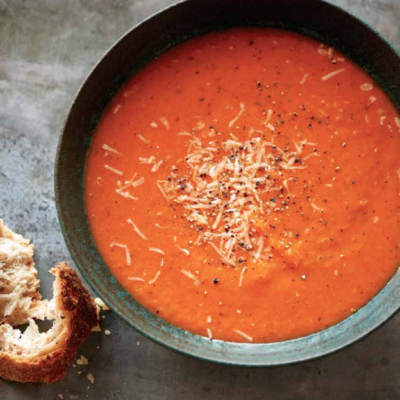 It’s also energy-efficient, frost-free and has Arctic Lock Technology that will keep foods frozen for over 2 days in the event of a power outage. I especially love the digital temperature reading on the front and that it has an alert if the temperature in the freezer gets too high. As an added bonus, it can actually convert into a refrigerator instead of a freezer. We both highly recommend this particular freezer, because we love ours! 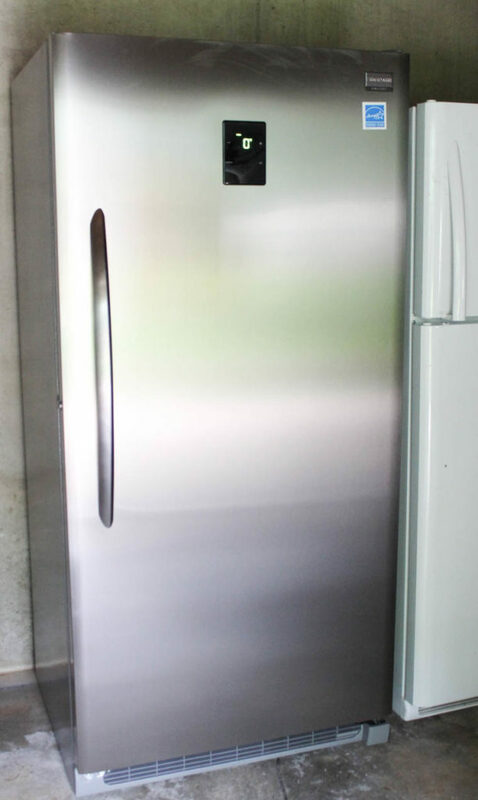 Learn more about the Frigidaire Gallery 2-in-1 Freezer/Refrigerator by swinging by their website. 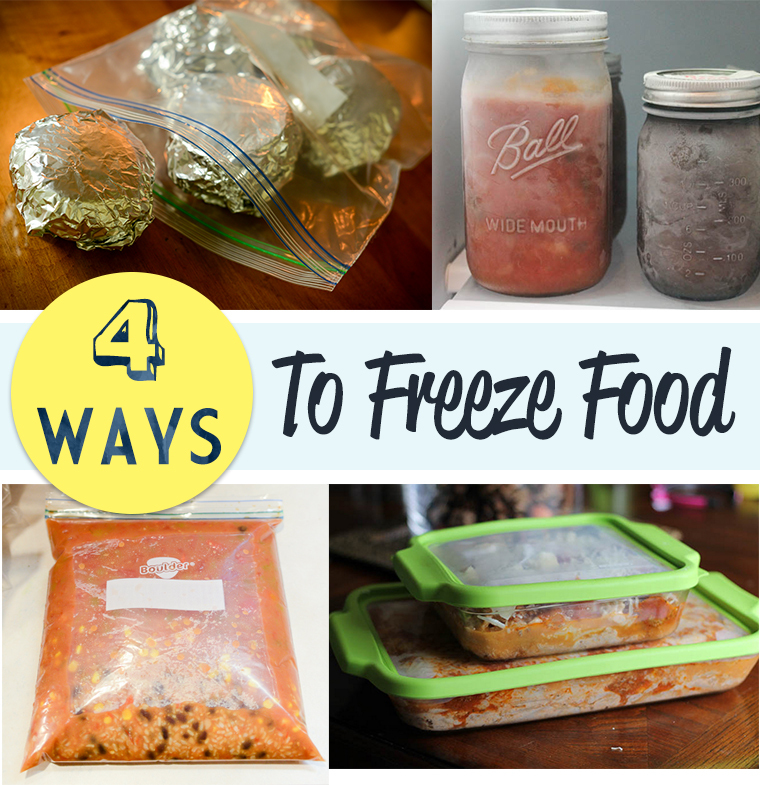 How Long Can I Freeze My Food? 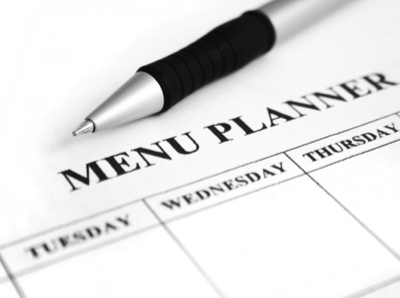 We recommend using freezer labels to help keep track of the age of food and meals in your freezer. Otherwise, it is VERY easy to lose track of what is in there. For example, my dad recently told me he found some asparagus from 2013 tucked back in his deep freeze the other day. Yikes! How Should I Package Frozen Meals or Food? 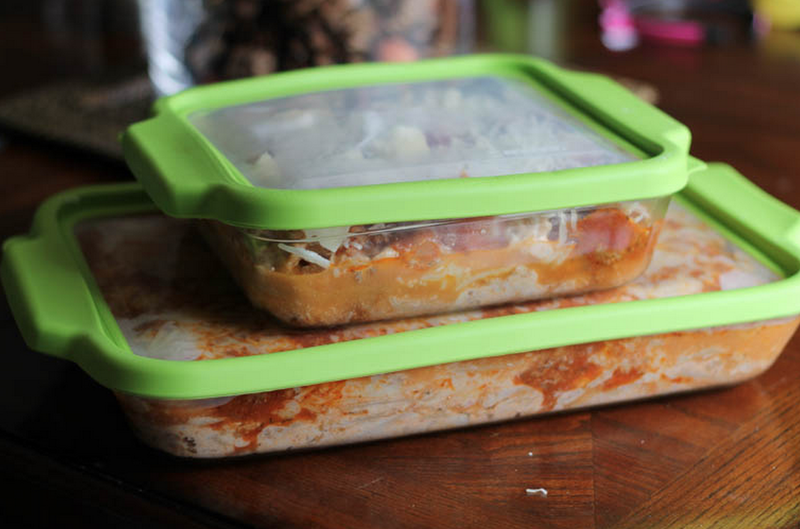 There are lots of different ways to safely store meals in your freezer. Some work better than others depending on the type of food you are freezing or even the space you have in your freezer. The primary thing to keep in mind is that air in your enemy. Pick a container that will allow minimal air exposure to help prevent freezer burn. Having a glass baking dish or container with an air-tight lid is a safe, reusable, and practical option. It not only allows for easy stacking of frozen meals, but a glass baking dish can also go into the oven when ready to bake or reheat*. 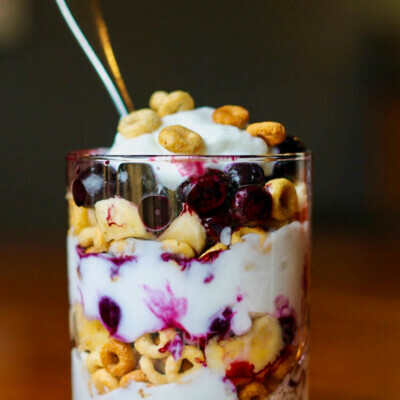 Glass is also a safer alternative to plastic containers. This is because plastic can break down over time from high temperatures and overuse and potentially leach harmful chemicals into food, especially when heated. Here are some recommended safe glass freezer containers that we use and love. *Note: Do not expose glass baking dishes to extreme temperature differences. Be sure to thaw your food first and then let your pan sit on the counter for about 30 minutes before baking. 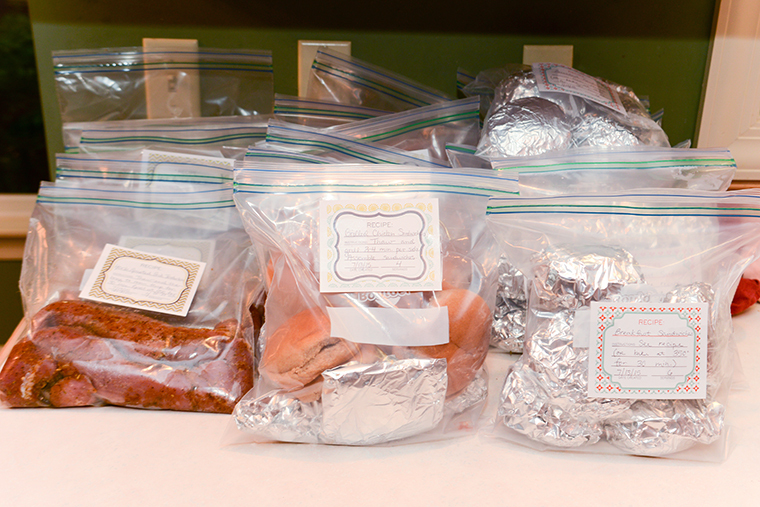 Resealable freezer storage bags are quite useful and safe when it comes to freezing, as long as you don’t heat, place hot foods into, or reuse them. 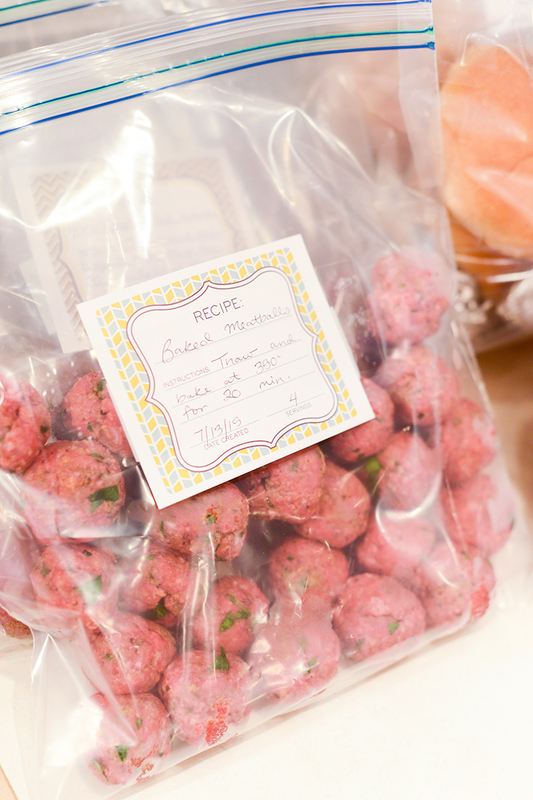 Store baked goods, soups, meat in marinades and many other cooled-down foods in freezer bags easily. Be sure to squeeze out all excess air before sealing. 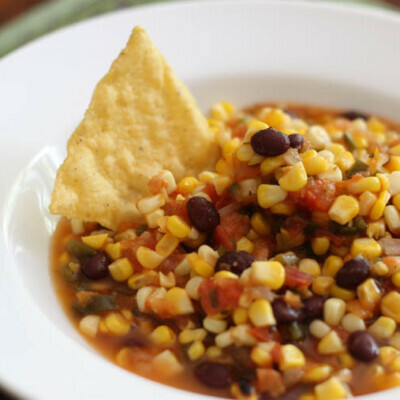 Most canning jars are freezer-safe and useful when freezing soups, sauces, broths, and much more. Note: They need to be canning jars, not just a glass jar of any type. It is also important that the canning jar have a wide mouth at the top and to leave at least one inch headspace when filling to allow for food expansion. Again, we like these because they are glass and not plastic. 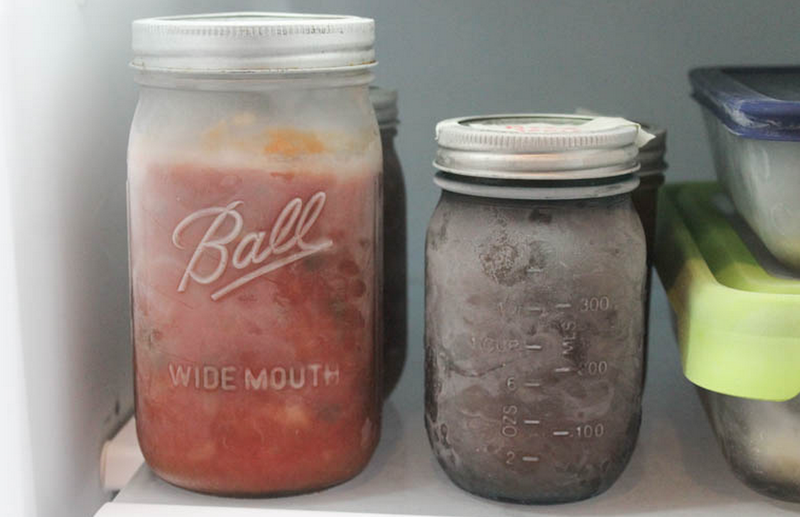 Here are some helpful tips to make sure your jar doesn’t break in the freezer. Foil is moisture-proof and can be molded into almost any shape. 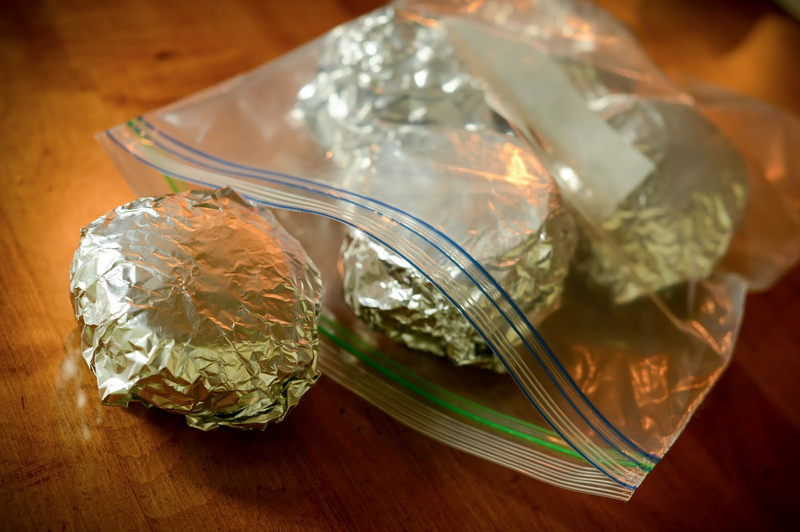 Foil can be used to wrap and store baked goods, meat and many other things. It can also top a baking dish that doesn’t have a lid. The best tip is to wrap the item in plastic wrap or freezer paper first and then cover with foil, making sure it is air-tight. Foil is best for freezing food short term. Lastly, when freezing food, make sure to label it with the type of food it is and a date. 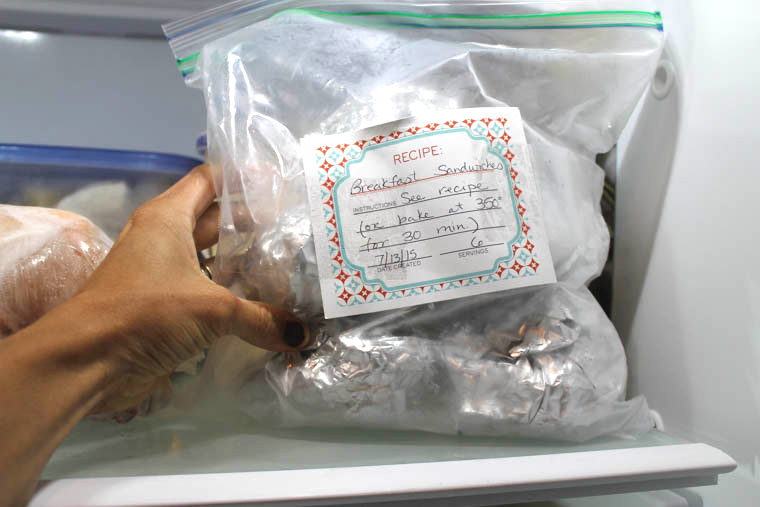 These printable freezer meal labels work well for this purpose. What Foods Don’t Freeze Well? How Do I Safely Thaw Frozen Food? 1 – The best and safest way to thaw frozen food is to plan ahead, so it can thaw in the refrigerator for 24-48 hours (depending on the size of the meal). 2 – Another safe option is to place food in a leak-proof plastic bag and immerse it in cold water, changing the water every 30 minutes. After thawing, cook immediately. 3 – A third option is to microwave-defrost food in a microwave-safe dish (never microwave in plastic!). Cook immediately after this method as well. Note: Never thaw foods on the counter at room temperature, as this creates an environment for dangerous bacteria to grow. 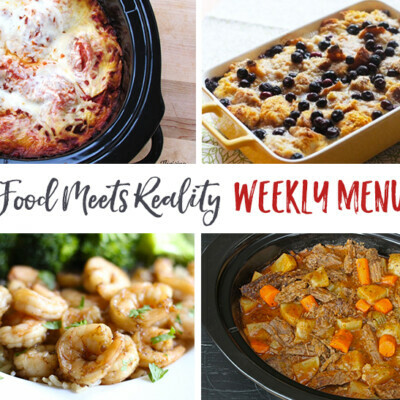 So now that you’ve got the basics down of throwing a Freezer Meal Party, next in the line-up is a great roundup of our favorite freezer meal recipes. 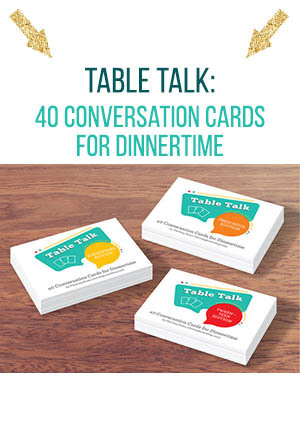 Check back in tomorrow for a list you’ll want to cook from now or pin for later!